TOGETHER is the most recent series of Bible study curriculum developed by Friendship Ministries. 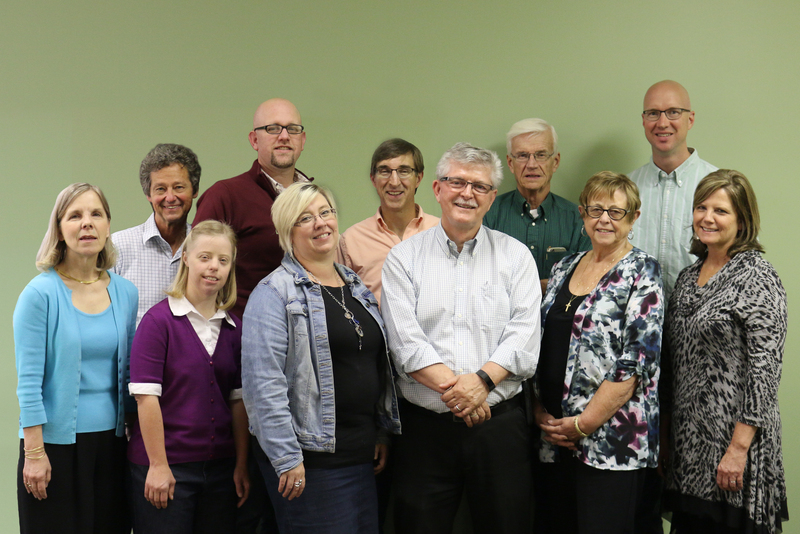 For more than 35 years, Friendship has helped empower churches and organizations around the world to share God’s love with people who have intellectual disability, by providing resources and curricula that celebrate the gifts of all God’s people, and that nurture faith formation, belonging, and community. Our ministry is international, inter-denominational, and designed to enable all people, regardless of ability or disability, to become active members of God’s family. 1. Everyone is created in God’s image and deserving of love and justice, both in our society and in our churches. People who have intellectual disability must have the opportunity to know and experience God’s love. 2. Redemption is a free gift to all. It does not depend on a certain level of intelligence. when all people are seen as equals in God’s eyes and our own. Tom VanWingerden is the Executive Director of Friendship Ministries. He brings significant business and education experience to the organization, having owned his own company for 16 years and having worked in administration at Calvin College in Grand Rapids, Michigan, for another 14 years. Tom is responsible for setting the vision for the organization, while also directing development and delivery of the ministries’ resources, products, and services. Tom first became involved with Friendship Ministries more than 20 years ago and is a leader/mentor within his home church. LaVonne has provided administrative support to Friendship Ministries for more than ten years. She is responsible for making sure the lights of the organization stay on, donation receipts are printed, and the database is in proper working order (she is currently very happy with the Salesforce Non-Profit Starter Pack). LaVonne is passionate about organization, format, grammar, and the like. She ensures our work is accurate and aesthetically pleasing before it heads out the door. Heather DeBoer is Friendship Ministries Canadian representative, working out of Burlington, Ontario, Canada. She is responsible for promotion, fundraising, and administrative duties throughout the Great White North. Heather is passionate about including people with intellectual disabilities in the life of the church (and Church). She found Friendship Ministries when looking for an activity to do with her sister, Jessica. Elizabeth Rodriguez Waterfield comes from Bucaramanga, Colombia. She holds a degree in Marketing from the Universidad Autónoma de Bucaramanga. She has represented Ministerio Amistad since 2001. She currently lives in Miami, FL, with her husband and two kids.